Welcome to Oglethorpe Square Garden Apartment! Enter into the living room. Two large couches greet you as you walk inside. Catch up on your shows with the flat screen television. Living room facing the entry. Kids can catch up on homework here. Sweet little desk area with view of the television. The kitchenette is perfect for housing snacks during your trip. Kitchenette with mini-fridge and toaster. 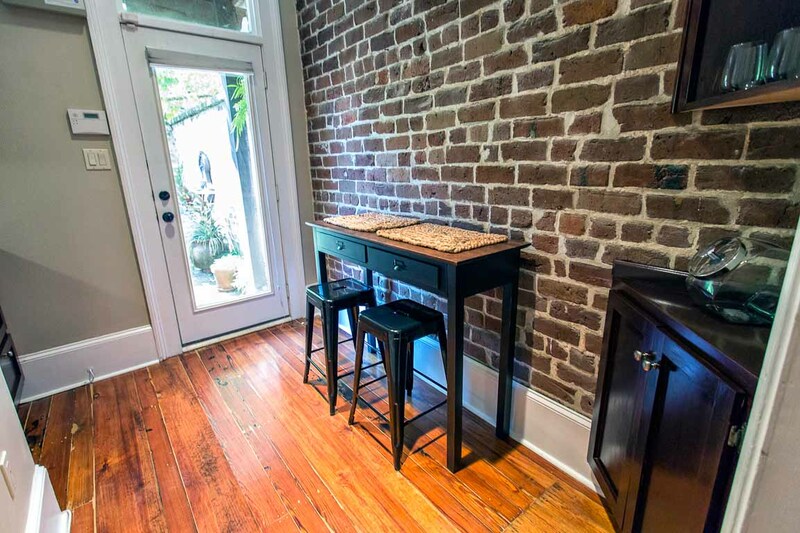 Have breakfast against historic brick walls. The queen bedroom is just off of the living area. Comfortable bedding will make you never want to leave. The original fireplace, now decorative, make you feel right at home. View of the bedroom. 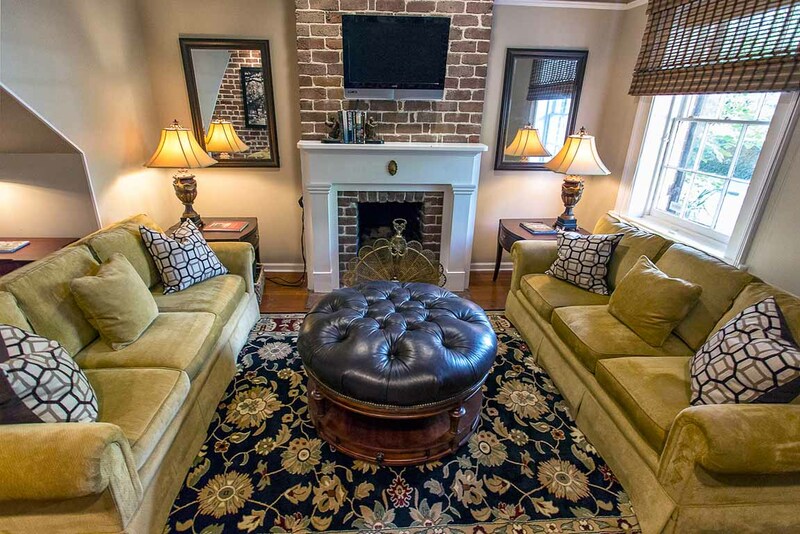 Live and breathe historic Savannah with these traditional furnishings. 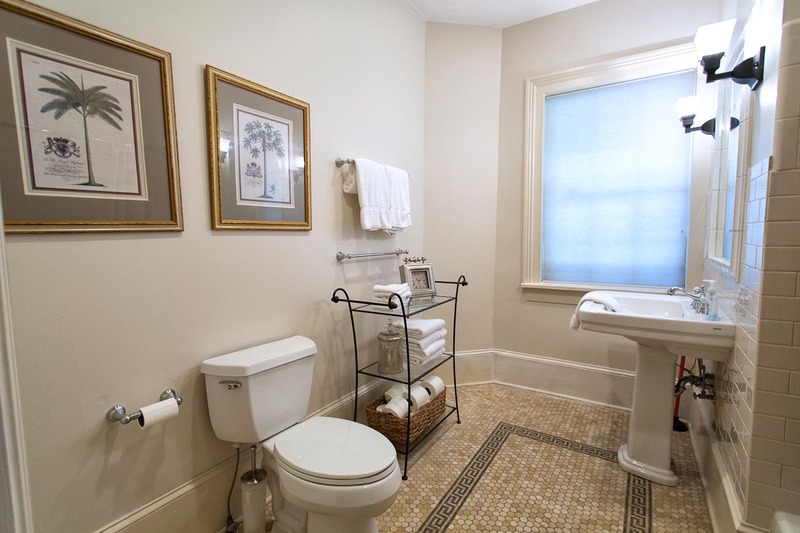 Beautifully tiled, this large bathroom will fit all your needs. Tub/shower combo can be found in the bathroom. Horse and Carriage are a frequent passerby. Only a 10 minute walk to River Street. This garden level apartment has all the comforts of a hotel but with more living space. 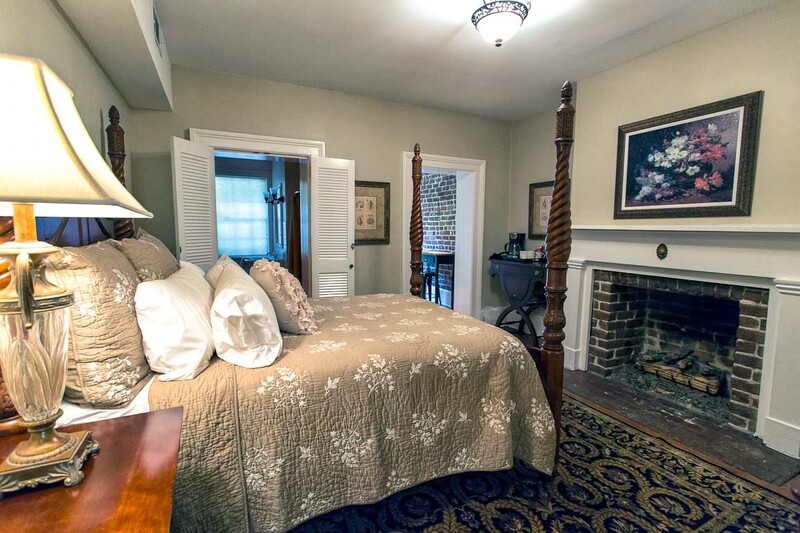 With interior access to Oglethorpe Main House, these two properties can be combined to accommodate up to eight guests. From York Street, you’ll enter into the living room, which has two large comfortable couches for relaxing (everyone deserves their own couch right!). A small desk provides the digital nomad with a place to work. 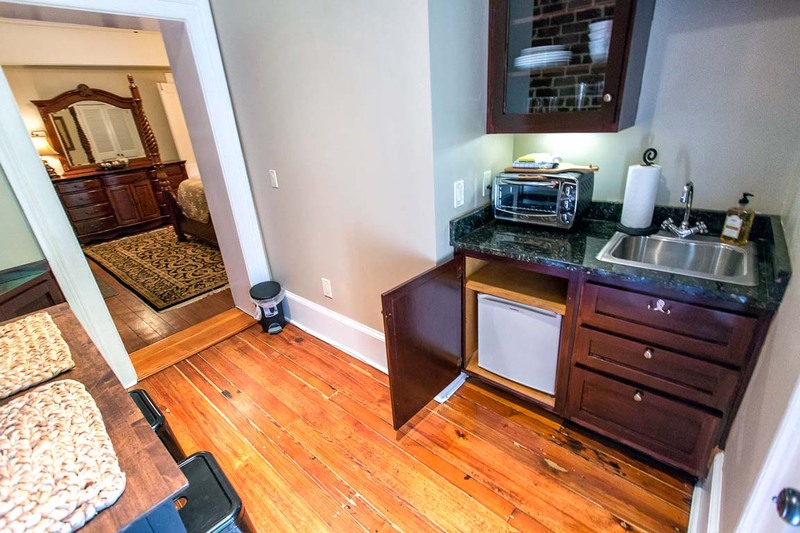 The kitchenette has a mini fridge, toaster oven, and coffee maker - enough to reheat some of those savory meals from one of Savannah’s exquisite dining experiences, or just enjoy a cup of coffee. The bedroom has a queen-sized four-poster bed and ensuite bath with a shower/tub combo and pedestal sink. The fireplace, now decorate, is original to the home and gives the room a warm, welcoming feel. 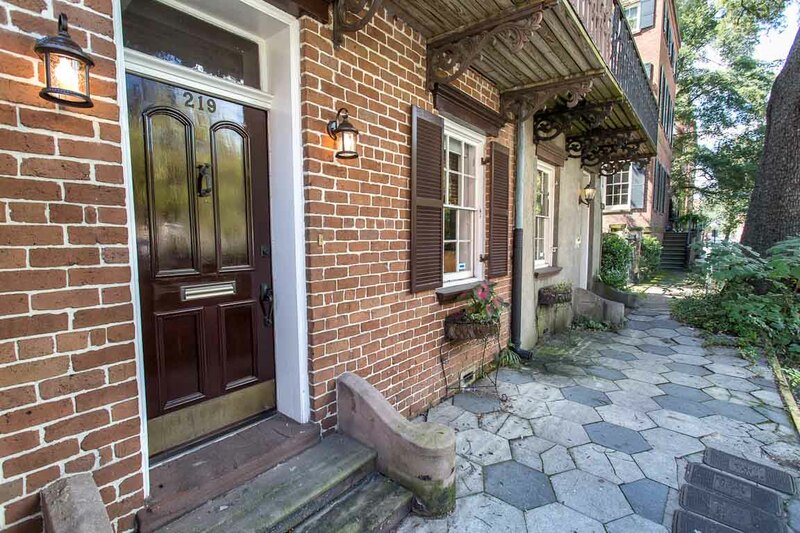 This home is ideally located within a short walk to many of Savannah’s historic points-of-interest and incredible selection of dining options. Try the Conquistador sandwich at Zunzi’s, made famous by the Travel Channel’s Adam Richman. Have a sweet tooth? An evening stroll to Leopold’s Ice Cream is the perfect way to spend any Savannah evening. You’ll be well situated to explore Savannah’s rich history with the Owens Thomas House and the Davenport House Museum both just a block away. - This home is pet-friendly and so are Savannah’s squares - just remember to keep your furbaby on a leash and pick up after them. - You’ll have plenty of closet space to unpack and settle in to your home-away-from home. The location was great,close to everything. We only had two plastic spoons available to us. Which didn't work on arrival. Notified staff and they were rght over. The unit was in a very good location to attractions and parking. The unit itself had a few issues. The toilet would not fill up after flushing, the court yard outside from the kitchen was dirty and needed attention we could not even sit out there for our morning coffee. The bed was very uncomfortable. The TV was up too high on the wall, not that we watched a lot of TV it was just odd. I cant say enough about the location. Other than day trips to Tybee Island, we walked absolutely everywhere, and nowhere was more than 15 minutes away. The apartment was clean and well represented in the pictures. Sure you can hear the people above you but we were lucky that there wasn't anyone up there most days, and when there were, they were very considerate. We loved being able to take our little dog along as well - it made the trip that much more enjoyable. We would definitely stay here again. Our vacation stay was amazing. Lovely accommodation. Centrally located. We were very, very happy. As there were two squares so close by our dog was happy too. This was our second time staying at the Oglethorpe Square Garden Apartment. It was perfect just like last time. Clean and well maintained. The location is perfect and the apartment is nicely decorated. Thanks to Luck Savannah for always being there. I hope to get to stay again next year! We recently enjoyed a three night stay in this lovely apartment. The location is fantastic and the accommodations are great if you're doing little more than sleeping and slower. The property however could use some TLC. The kitchen is very tiny as stated in the property description. No glassware or wine glasses are provided. The toaster oven has been relocated from the kitchen counter to the top of the small desk in the living area. We were not comfortable making use of the oven on a wood desk, it just didn't seem like a safe idea. We suspect the relocation was due to a slightly melted outlet from the plug. The small desk is no longer usable as a desk now. 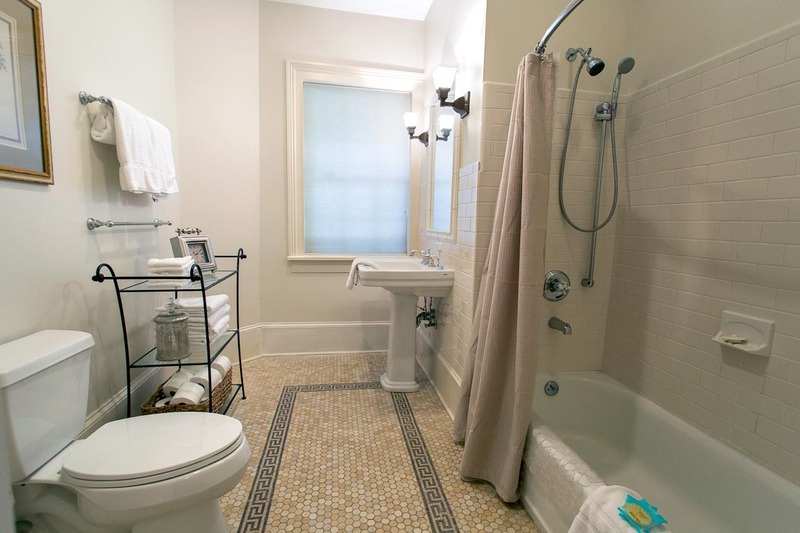 The tile work in the bathroom is very old, and while housekeeping did their best, we weren't comfortable without shower shoes. The bathtub felt unstable. When showering, it felt as though the support under the tub liner was structurally deteriorating. The sofas in the living room, were old, but comfortable. They however smelled of previous renter's dogs. Some of the sofa pillows also had feathers coming out of them. Probably not the best choice of furniture if you're going to have a dog-friendly rental. Our stay was still pleasant, but would probably not rent this particular unit again. Very nice unit. Easily accessible to attractions, Clean, and well maintained. I enjoyed my stay. Overall the experience was good. The property management company was easy to work with, made recommendations for restaurants and attractions. I liked the app they used. 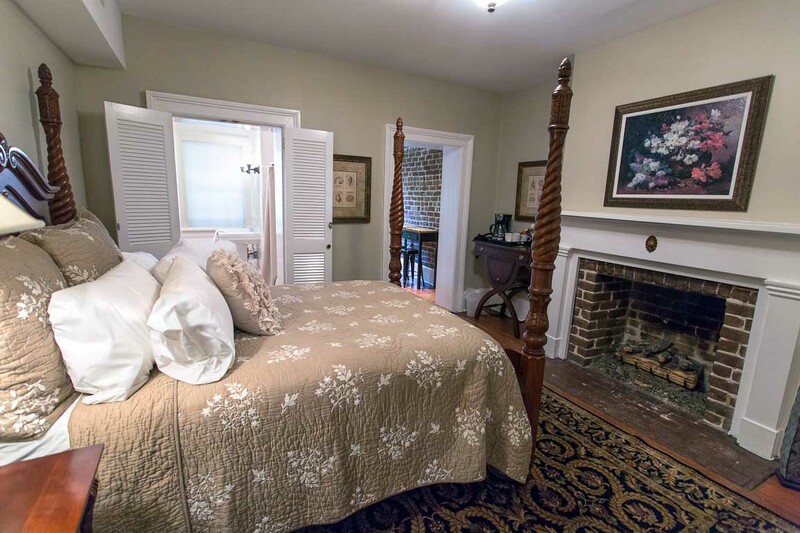 The property was a nice room, clean and convenient to all we wanted to do while in Savannah. The only downside is that the noise from the house above carries downstairs. We heard every footstep and every conversation of our upstairs neighbors. A white noise machine may be a good addition to the property. Staying in a historic accommodation was incomparable to any hotel. It was charming and homey. The code entry made coming and going convenient. It was immaculately clean and well stocked. It was within walking distance of everything and I felt like I was staying in a home, not a rental. I will definitely use lucky savanna again. Katherine, thank you for choosing Lucky Savannah! We are so glad you enjoyed the cleanliness, location, and amenities of your rental. Thank you for letting us know that we hit the mark perfectly with your stay. We hope to host you again soon! Also, the only lamp on the dresser did not light; making the dresser area pretty dark. Overall the accommodations were good; just a little pricy to be missing attention to basic detail. Hi Robyn, thank you choosing Lucky Savannah! We're so glad your enjoyed the courtyard and quaintness of your rental. Also, we greatly appreciate your feedback. We would have loved the opportunity to address these things while you were with us! It may be helpful to know that provide a 24/7 Guest Line to ensure that all of your needs are met. Again, thank you for bringing this to our attention! The unit was very clean and ready on was bigger than expected. It looked exactly as pictured. I do wish it had a closet, or some other way of hanging clothes. Plenty of drawers, I just prefer to hang. Parking in Savannah was tough, but we had a meter space right outside the door and walked everywhere. Loved the location!!! You can hear the guests upstairs, but it wasn't that bad. Fantastic! The apartment is very clean, very functional, convenient to downtown and quiet. We also loved the private rear garden, great for morning coffee or just a a quiet spot to regroup from a busy day! Thank you for choosing to stay with Lucky Savannah! We are delighted to hear you all found the apartment to be fantastic! Our housekeeping team tries their hardest to make sure all of our homes are ensured a great clean. Although the private patio is shared with the upstairs unit, you have tons of privacy and are able to use the outdoor space anytime you please. We hope to have you all again soon! Lovely location in a lovely city. We loved the rental.. The location was great and made it easy with the dog for walks, go get coffee, and enjoy Savannah. This was our third time renting with Lucky Savannah, and keeps us happy. We called and asked for more towels and they were there in minutes. Only recommendation to make it perfect, would be nice to have a dedicated parking spot in the back and if there was a closet to hang clothes. We would easily rent there again, and from Lucky Savannah! Thank you for choosing to stay with Lucky Savannah! 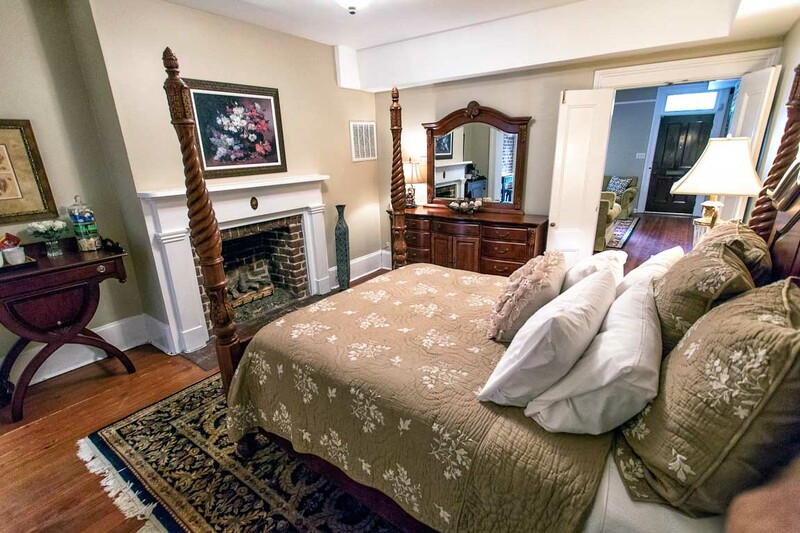 Oglethorpe Garden Apartment is located on the beautiful Oglethorpe Square, and is only one block away from Broughton Street. We are so happy you enjoyed your third time staying with us! We appreciate all of our returning and loyal customers. We thank you for your input, and we will most certainly discuss this with our team. My husband and I came to Savannah for our anniversary and a wedding. The Oglethorpe Square Garden Apartment was perfectly located for everything we wanted to do. A few reviews commented on the noise from upstairs, which is true, but because of the reviews I was aware ahead of time and it wasn't an issue for me. We brought a box fan for the bedroom and couldn't hear a thing why we slept. I requested a late check out due to the time changing and the management company responded quickly and had no problem granting us a noon departure. If we plan another trip in the future, Oglethorpe Square will definitely be our first choice. Thank you! Pros: great location, clean, very nice property. Cons: you can hear everything going on in the upstairs unit. Thank you for choosing to stay with Lucky Savannah! 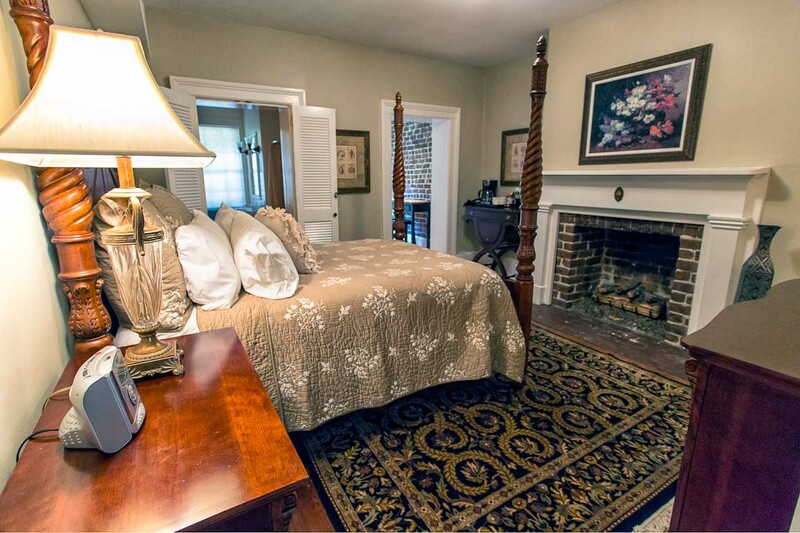 Oglethorpe Square Garden is in a great location, overlooking the beautiful Oglethorpe Square. 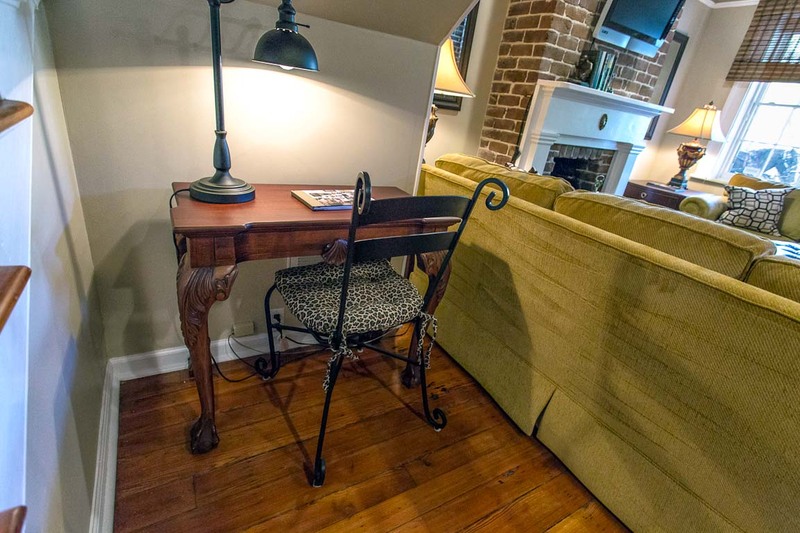 We fortunately do not receive many complaints regarding the tenants upstairs, since they are Lucky Savannah guests! Our guests are respectful, and are typically aware there are guests below them. We do hope to host your next Savannah vacation! Lucky Savannah was wonderful, a pleasure to deal with! A rep arrived within 10 min to adjust our remote control, and Sydney responded promptly my call about parking on a Sunday. Definitely plan to rent this Garden Apartment again! It was so charming that we hated to leave! Best location (view of side of historic Owens-Thomas House, Oglethorpe Square,& President's Quarters Inn from front window). 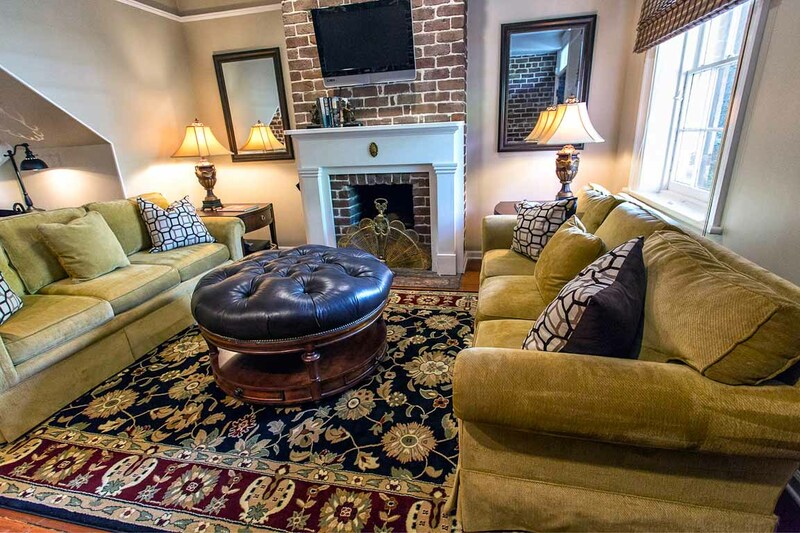 Clean, security system, old brick walls & fireplaces simply beautiful, quality stylish furnishings, track lighting in living area adds to the ambience, most comfortable bed we've had in a rental, bathroom larger than expected, relaxing shared courtyard (kept bicycles in corner). Plenty of space for clothes in dresser for two (I overpack!) plus could fit suitcases under bed. Tiny refrigerator so bring ziplocs/foil with you for carryout food, no freezer so we brought a cooler and set it outside the back door (Parkers Market on Drayton St is best place to get ice). Parking on street was no problem, but move your vehicle Friday night as we got a $25 ticket, midnight Saturday - 4:00 a.m. no cars to be parked there as street sweeper comes by. Can park in space behind courtyard if nobody is renting the Main House, please be respectful & call Lucky Savannah first. ONE AMAZING RENTAL!!! Thank you for choosing to stay with Lucky Savannah! Oglethorpe Square Garden Apartment is a fantastic rental, and we are glad to hear you agree. This home certainly offers a great location, stylish furnishings, and so much more! The courtyard is quaint, but very comfortable and convenient. We thank you for your feedback, and your honesty. Please don't forget about our 10% "Returning Guest" discount! Perfect location. Charming decor. Flowers in the outdoor space smelled amazing. Clean. Great experience with the people at Lucky Savannah. We will stay again!!! Thank you for choosing to stay with Lucky Savannah! 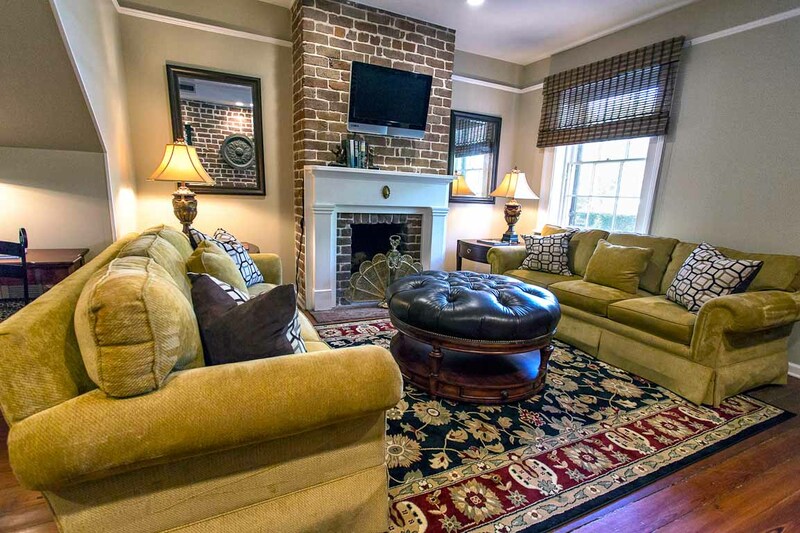 Oglethorpe Square Garden Apartment has so much to offer, and prime location. We are thrilled the apartment was clean, and smelt amazing! Our staff does their best to ensure a great stay from booking, to checking out. We can't wait to have you all again in the near future! PERFECT! Cute, Clean and Convenient! Every year my husband and I come to Savannah so that I can attend a conference. 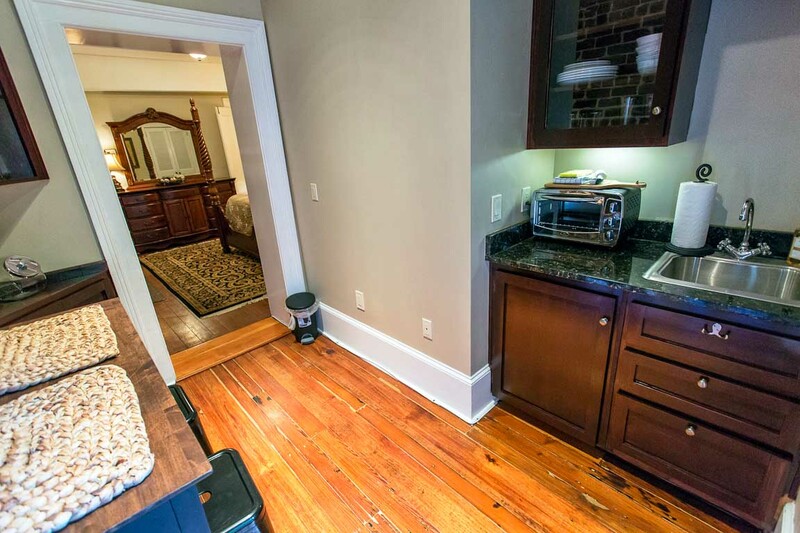 Instead of staying at hotels, we prefer to rent a unit to truly experience Savannah. Oglethorpe Square Garden Apartment was perfect for us and our fur babies. When we arrived everything was spotless. We had a few questions but they were promptly answered by Brooke at Lucky Savannah. Absolutely, no problems throughout our stay. I would definitely like to stay here again. Hi Ouida! Thank you so much for choosing to stay with us at Oglethorpe Square Garden Apartment! We're so glad to hear that the home was perfect and that our staff was friendly and responsive. We look forward to hosting you again soon! My husband and I went to Savannah to celebrate his birthday and decided we wanted to rent a condo or house instead of staying in a hotel. The location to City Market and River street was awesome! It's also nice to have living space instead of just a a room as you would get with a hotel. This condo is on the bottom floor and you were able to hear folks living above you - their conversations almost perfectly. Looking back, the kitchenette wasn't bad, but I think I would have preferred a full size refrigerator. Other than that, the kitchenette was fine. Zunzi's is right down the road from here - a great lunch spot! We also did a segway tour with Segway of Savannah - our first time and definitely recommend it for a cool way to learn Savannah's history. Hi Lauren! Thank you so much again for choosing to stay with us. We're so glad to hear you enjoyed Oglethorpe Square Garden Apartment and our beautiful city. Please know that you're privy to our Friends and Family discount next time you stay with us. Looking forward to hosting you again soon! We really enjoyed the location, the comfortable bed, and our doggie's spot looking out the front window. We did have a problem with the front door sticking, but the management attended to it quickly! We rented just the bottom floor. But we could hear every word and hear every footstep of our upstairs neighbors. Location was perfect, as Oglethorpe Square was merely steps away! Beware of parking rules. We ended up with 2 tickets ($20 each). Did not read the sign about street cleaning, and did not run outside to fill meter before 9 a.m.
Hi Virginia! Thank you for choosing to stay at our Oglethorpe Square Garden Apartment. We're so happy to hear you enjoyed the location and that our staff attended to your needs quickly. Sorry to hear about the parking tickets - we've all been in that spot! Looking forward to hosting you again soon. Hi Lisa! Thank you for staying at our Oglethorpe Square Garden Apartment. We're so glad to hear you enjoyed the location, and will certainly take care of the microwave. Looking forward to hosting you again soon! Loved our stay here! Will definitely rent here again on our next visit! Hi John! Thanks so much for staying with us. We look forward to hosting you again soon! Great location! Had a couple hiccups! 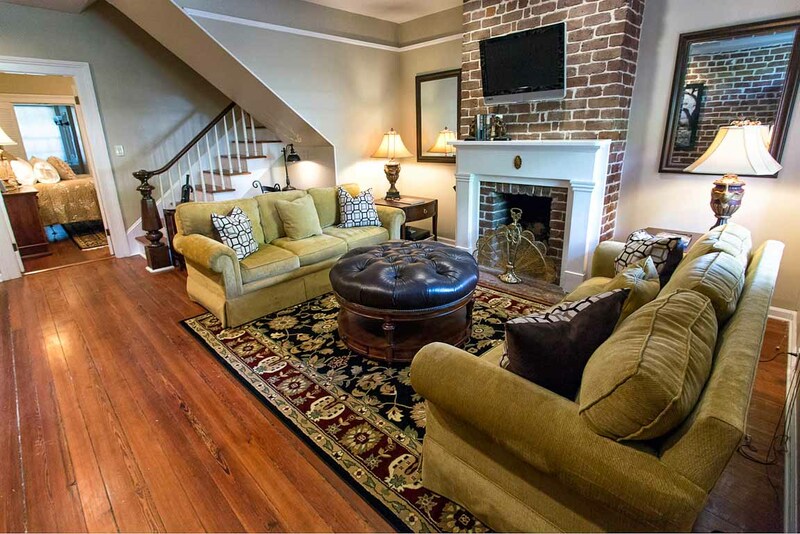 This beautiful garden apartment was centrally located and close to everything Savannah has to offer. The unit looked exactly like the pictures. It was clean and very inviting. There were just a couple issues during our stay. The front door code did not work, and we had to call. The TV was not in working order, and there was a joining door to other tenants that would not lock, and made us feel a bit vulnerable. Hi Steven! Thank you again for staying at our Oglethorpe Square Garden Apartment. We do apologize for the few hiccups encountered during your stay, and hope you'll give us the pleasure of hosting you again next time! Another great rental from Lucky Savannah! Awesome location. Perfect size for 2 people. This is our 3rd stay with Lucky Savannah. Each location is unique in style and location. This unit was adorable, clean and a perfect spot! Thank you for being a loyal customer, Natalie! We're so happy you enjoyed your stay at Oglethorpe Square and we look forward to hosting you a fourth time. This place is great! We had Oglethorpe Square just steps away. Great for our fur baby! Trolley stops are there too! Leopolds is only one street away, yum. I would suggest The Funky Brunch for a great breakfast or brunch. 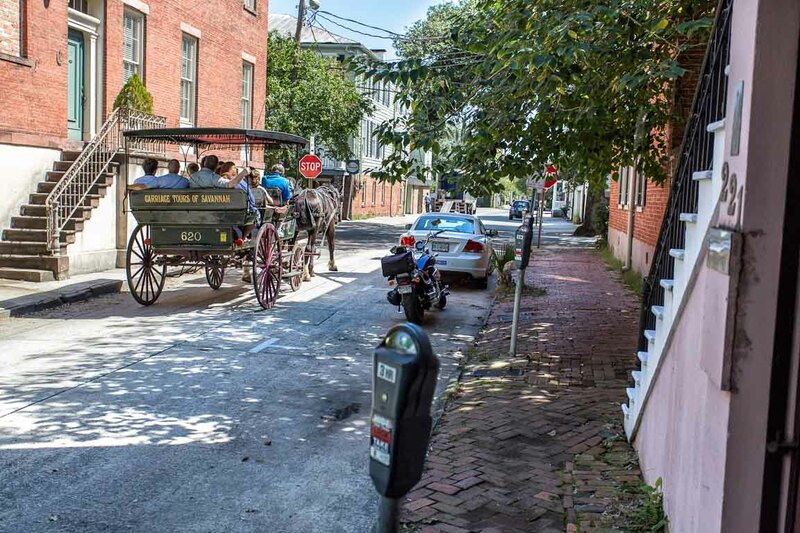 We enjoy Savannah a lot and it's a wonderfully pet-friendly place! Thanks again for choosing to stay Lucky, Steve! It sounds like you had a great time enjoying Savannah's many food gems. We look forward to hosting you again soon! Great location, very cozy, felt like a home away from home. We had an excellent time staying in this vacation rental. It is in a fantastic location. We hardly had to drive since almost everything we wanted to see was within walking distance. The place really felt like a home away from home. It was great having a full size living room with large couches. It allowed us to have a space to rest throughout the day without having to get back into bed. The large bathroom and kitchen area helped the place feel like a home. The only downside of the property is that you can hear your neighbors. If you happen to have people renting the space above this rental at the same time, you will be able to hear their conversations and them walking around. Otherwise, we absolutely loved this property! Beautiful apartment in a central location! We walked everywhere! Really! We bought a parking pass and were lucky enough to get the space right in front of the apartment and didn't move the car for three days! Lack of a closet and no iron or board. Residents and a dog living right above the apartment. Lots of foot and paw steps and the noise of daily living, conversations and guitar playing. Awkward furniture in the living room with no coffee table to set your coffee....or wine. It was very easy to book and access. We had a problem getting in at 1st but we're helped quickly to get in the unit. The location was great and the apartment was perfect! Micro wave would be a nice addition and since there are no closets clothing hooks need to be added. Have been here twice now and it is a very nice unit for the price paid. Clean, spacious, and bright interior. Only issue for me is that there is no closet or place to hang any clothes. Lots of drawer space but no hanging area. There is a bedside table and lamp on one side but not the other - so if you both like to read before sleeping it is a problem. There is a barstool that can be moved and put into service. Nice kitchenette for coffee and pastry but no cooking facilities. Private little courtyard is great and a very nice location! We truly enjoyed our stay in the Oglethorpe Square garden apartment. We loved the proximity to all things Savannah.Any issues were promptly resolved by the management team. If you have never stayed in a vacation rental, start now! This place was so much nicer than any hotel we could have booked, and cost so much less! It is great to be able to have food to save money, and a shared courtyard was a nice bonus. The only thing I would caution potential renters about, is the noise from upstairs, due to the age of the building. 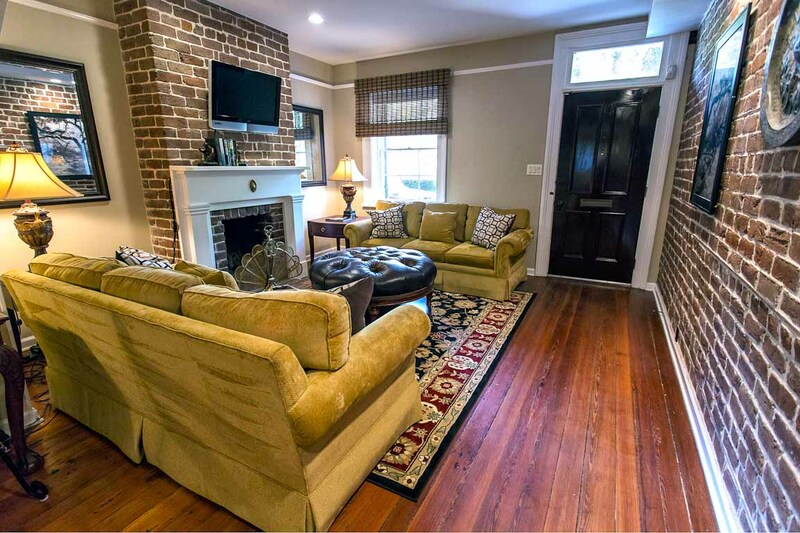 The location was the perfect balance of semi residential and close to everything you want to see in Savannah! I would definitely stay here again. Thank you for choosing to stay with Lucky Savannah, again! We are so glad you all enjoyed your time in Savannah, and in the Oglethorpe Main and Garden home. 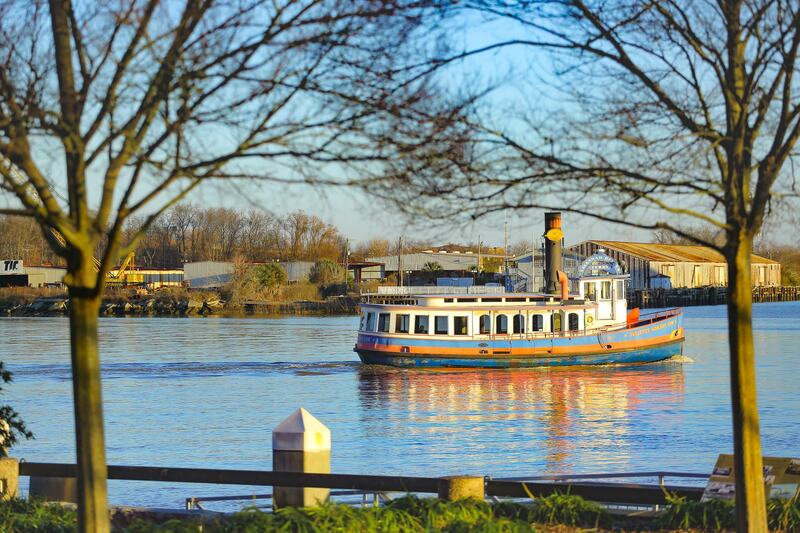 This property is in a fantastic location, within walking distance to many great attractions. We hope to see you all again next year! It was the perfect spot with the right amount of space! Beautiful period home in a great location! We were very presently surprised at the location, it was in walking distance of Everything! The layout was perfect for us. A couple of suggestions, share the alley parking with the unit upstairs, there is room for two cars. Second, get rid of the toaster oven a put in a microwave. The location of this apartment can't be beat and it was very clean and comfortable. As many noted there is no closet so be ready for that. There are some hooks in the bathroom though that can be used to hang a few items and there is plenty of drawer space. We stayed for just a few days and I can't really see staying much longer because there is a tiny dorm-size refrigerator that holds very little. No way to make ice and a toaster oven. I think a microwave would have been more helpful. While we were there the upper part of the house was rented out to a wedding party. We could hear every conversation that was going on since the door to the other unit was thin and had a large gap at the bottom. It was also noisy at times with people walking on the wood floors above us. Since we were home very little and they did not make a lot of noise late at night it didn't bother us too much. Overall very good experience. Had a couple issues with the door lock codes, but Lucky Savannah staff were very responsive and took care of things very quickly. We had a great experience staying at this rental property. My husband and I were in town for a wedding and this place was the perfect location within walking distance of the wedding venue and all the festivities in downtown restaurants and shops. The apartment was clean, comfortable and a great space for having others over during the day. There is no closet and little space to hang clothes which wasn't an issue for us but just good to know before you get there. 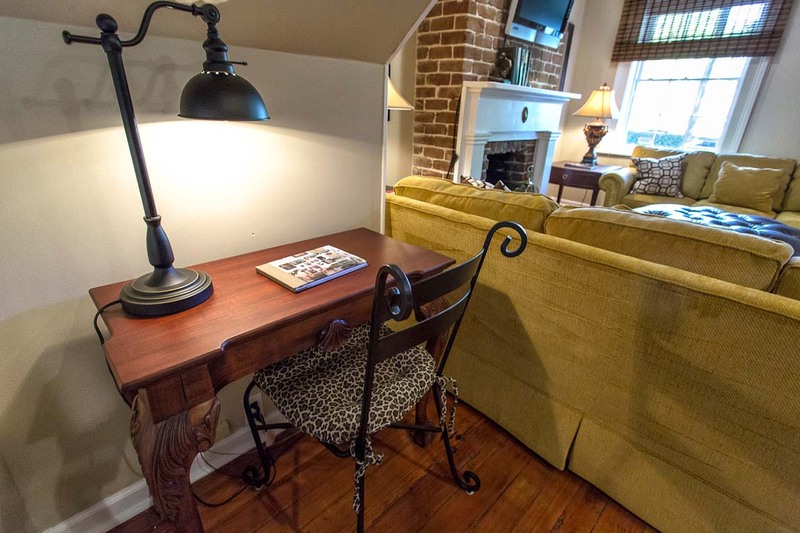 I'd definitely recommend this space to others for a nice weekend place to stay in historic Savannah. Thank you for choosing to stay with us! Tammy, we are so happy to hear the location was perfect for you all! 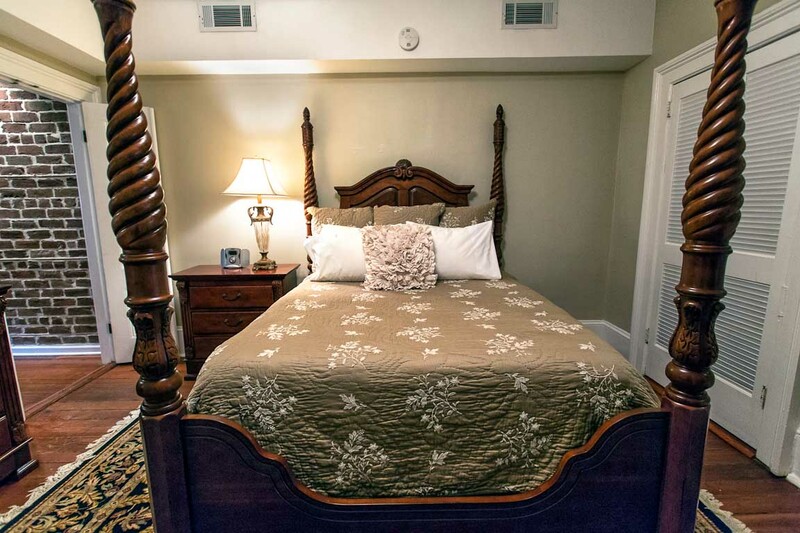 Our team tries their hardest to make sure the home is clean and comfortable for your stay. We appreciate your kind/honest review! We hope to have you as our guests here in Savannah, again. We stayed here for New Year's Eve weekend. Home was beautifully decorated and bed was comfortable. Huge bathroom, bedroom and living room. Although you can hear people in the upstairs unit, we would stay here again in a heartbeat. Great location and very well kept. Good price for this unit. Thank you for choosing to stay with Lucky Savannah! We are ecstatic to hear you enjoyed Oglethorpe Garden Apartment. We apologize you were able to hear the guests upstairs, but happy that you all could see past that. The location is definitely fantastic! We hope to have you return to Lucky Savannah for your next Savannah vacation.